Sleep is a glorious event that many people look forward to from the moment they wake up. If you work a stressful or physically demanding job all day, at the end you just want to fall into a cozy bed and remain unconscious until the morning. 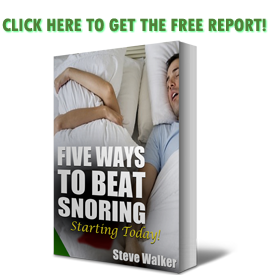 If you have a snoring problem and you don’t have a mouthpiece like the Good Morning Snore Solution (read more here) or the ZQuiet (read here), you will need to get smart and make a choice. Meanwhile, if you’ve got children or a mentally exhausting occupation, sleep might be something that comes fleetingly and is never truly peaceful. The trick to getting a good nights sleep varies from person to person, but the concept is the same: comfort and quiet. Do you wheeze and snort your way through the night when you should be soundly sleeping? That could be about to change. A new smart bed, due to launch on Kickstarter today, props you up if it hears you snoring. It’s also programmed to learn your favourite sleep conditions and keep you comfy by moderating your temperature and its firmness accordingly. The project’s Founder Joe Katan has been busy creating the Balluga bed for the past 6 years. “We all know how important it is to get a good night’s sleep, and I’m sure I’m not alone in understanding how a bad night’s sleep effecting our mood and productivity,” he said. The Balluga bed uses sensors to monitor the body’s vital statistics in real-time. This can be accessed through either a remote control or the Balluga smartphone app (available on iOS, Android and Windows). In-built microphones also detect if a sleeper is snoring and prompt the bed to raise the snorer’s head or upper body to soothe them into silence. Not only does this bed prop you up if you start snoring, it can also regulate the temperature so you aren’t sweaty or freezing. This is especially great for those going through life changes like menopause or even when you’re just not feeling well. Who can ignore the idea of waking up to a massage? That’s pretty awesome. No longer will you have to wake up in pain or with stiff joints. Well, maybe that might still happen but we bet it won’t last for long! Having a bed that works this hard to ensure you have a good night’s sleep is worth the cost. Truly, it’s not completely outrageous. Can you really put a price tag on sleeping?